Looking for new contributors and fresh perspectives for your open source software project? Through the Google Summer of Code™ program, we fund students worldwide to work with mentors from the FLOSS community on a three month coding project. Over the past five years, we've successfully paired nearly 3,400 students "with more than 3,000 mentors from backgrounds spanning industry to academia, with some spectacular results: more than 8 million lines of source code produced and over $20M in funding in support of open source development. We're particularly excited by the social ties our students form through the course of the program. We've connected people in more than 100 countries, and hope to bring people from even more places into the Google Summer of Code community this year. We're looking forward to our sixth year and welcoming another group of 1,000 student developers to the program. We're now accepting applications from open source projects who wish to act as mentoring organizations. We'll be taking mentoring organization applications until Friday, March 12th at 23:00 UTC. 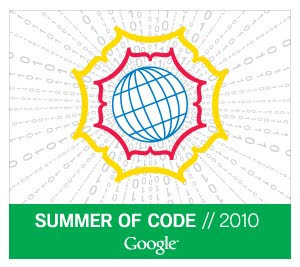 Our list of approved organizations will be published on the 2010 Google Summer of Code site on March 18th. Interested students will then have several days to discuss their ideas with the accepted organizations before student applications open on March 29th. Check out our Frequently Asked Questions page for more details and a preview of the application. And remember, if you have any questions, you can always find us in the Google Summer of Code Discussion group or in #gsoc on Freenode. Best of luck to all of our applicants!